So, this is what I did. 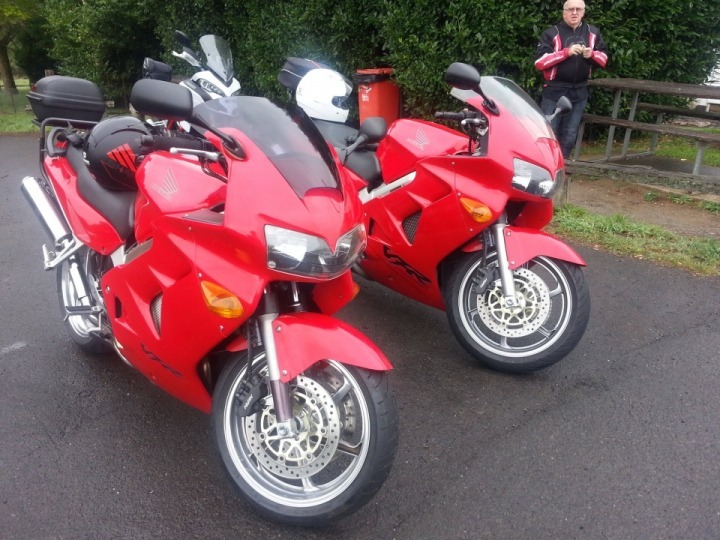 A bike that was lower mileage, had unmarked bodywork and had been much better looked after mechanically. I’m not sure but I am guessing this was around January 2013. Anyway, I covered a lot of miles on MkIII and, even though the k’s were creeping up, it was never really a consideration that I would swap as I have always thought that the 4th Gen VFR is the perfect bike. That was until a couple of years ago when I returned home from somewhere or other and my wife told me that Paul had visited so that he could show me his new bike. New bike? I knew nothing of this. 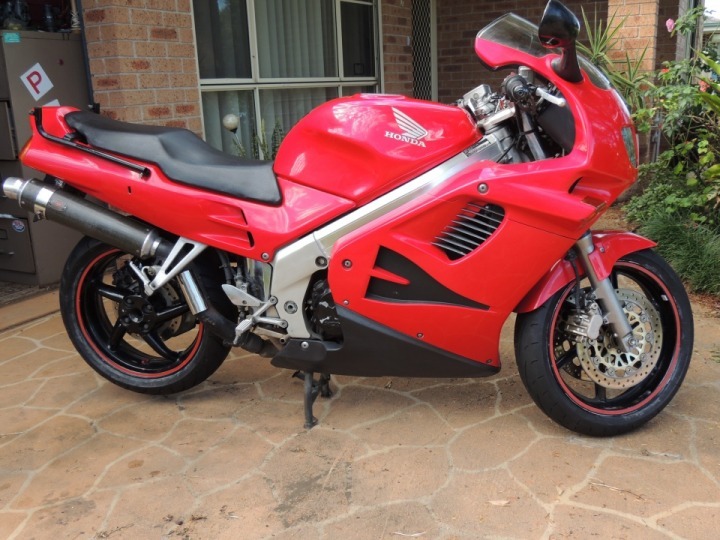 I knew that he was getting a little disappointed with the cheap and nasty paint job someone had done on his VFR before he bought it but I didn’t expect that he would want to buy another bike. I asked my wife for details and all she could tell me was that he had bought a VFR800. Now I knew it wouldn’t be a 6th Gen so I was intrigued. I didn’t have to wait long. 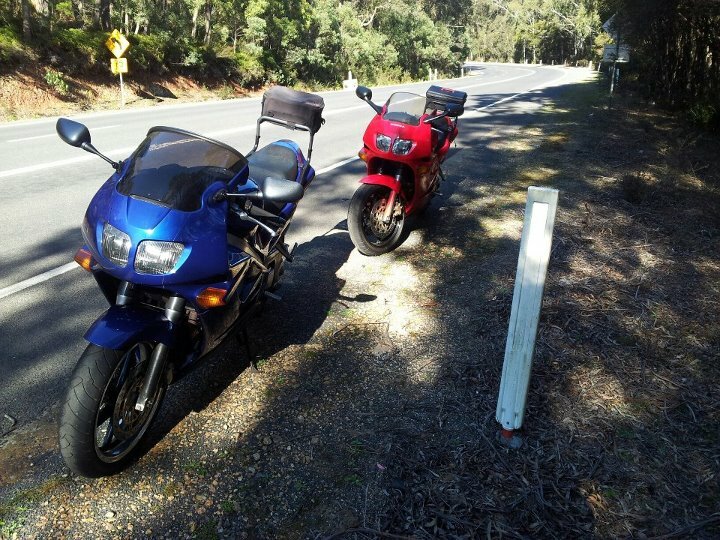 Paul had bought a 2001 model 5th Gen with only 31000kms on it; it was like a new bike! Now I must explain that Paul and I are not only twins but we are identical twins and that brings with it all the spooky “coincidences” that come with this unique relationship. In 1969 we both decided, independent of each other, to buy and learn to play a guitar. In 1974, despite never having had anything to do with motorcycles, we both bought a bike and started learning to ride. I was living in Wollongong and he was living in the Hunter Valley so there was no suggestion of collusion. Our lives have been liberally sprinkled with such occurrences. However, in this instance, there was no suggestion of “monkey see – monkey do” I was very happy with MKIII and life went on as before. 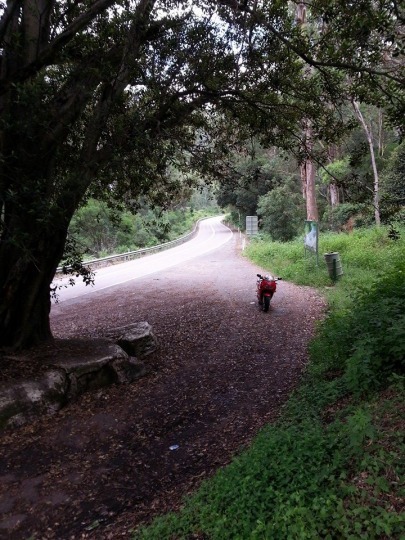 UNTIL a Putty ride one day resulted in an interesting conversation at the Grey Gum Cafe with a rider who was admiring Paul’s bike. “I’ve got one of those at home, almost identical to that.” Anthony said. When pressed for details he said that it was one of a fleet of bikes that he owned and that he was thinking of selling it since he hardly rode it any more as he was spending increasing amounts of time riding his old Pommy bikes. It had 53000kms on the clock and had a raft-load of extras that Anthony had fitted. I was intrigued and nothing probably would have happened except that he then mentioned that he lived in Nowra, just down the road from me! Well, you know the rest of the story. I went for a visit, had a test ride and bought Rhonnda in January 2017. So now Paul an I have identical matching bikes, the first time in our 40 year riding careers that we have had this happen. I sold both MKIII and the hulk of MKII and moved on. From time to time I do miss the mellow, torquey feel of the 4th Gen but I love Rhonnda. She now has 77000kms on and is showing no sign of letting up. 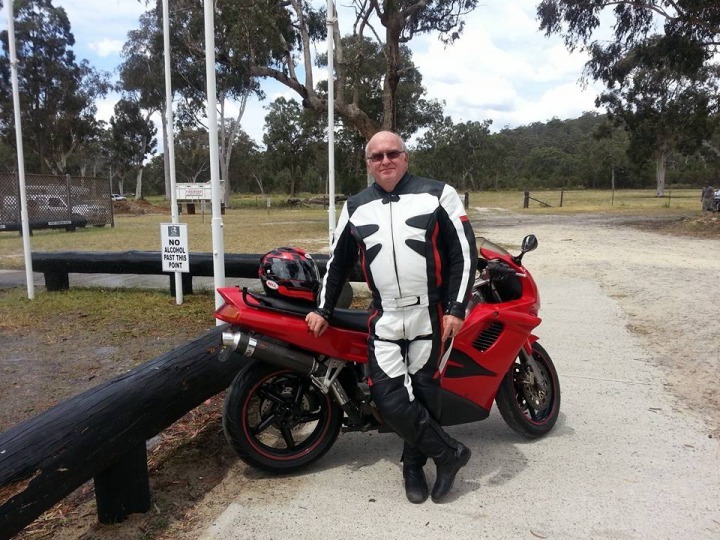 Would I buy another VFR now? No, I hate the VTEC engine, gear-driven cams stopped at the 5th Gen so that’s where I’ll stay.